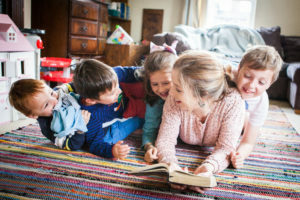 In all the stories I’ve shared so far this week (click here to start with the first), home education is done as a family, for all children in the home. But what happens when just one of your children is struggling with mainstream school, and the others are coping well? Becky tells us how home educating one of her children had a positive knock-on effect for all three. Just over two years ago my husband and I adopted three amazing children, who are now aged 7 (boy), 5 (boy) and 4 (girl). We had no intention of home educating at all. The older two immediately started school and nursery, which they had been used to before they moved to us. We expected that this would continue to be the situation but things began to change for my middle son half way through Reception. He had been struggling in different ways both at home and school throughout Nursery and early Reception, but it felt manageable and didn’t seem to be doing much damage to him. During the course of his Reception year, however, we realised that his anxiety about school was completely overwhelming him. He started to emotionally shut down, as his levels of distress around school were so high. He never felt safe, and leaving the house – even for a short walk – became extremely distressing for him. This continued during the summer holidays, so we spent much of the summer at home, or dividing the family in two to manage his anxiety about returning to school and a new year group. We felt we were left with little choice but to home educate, at least for the first half term, in order to repair his mental health. It has now been six months, and his progression has been amazing. Another positive change is that he initially struggled with social situations, so we didn’t mix with others, but recently he began to express that he was lonely, which we were delighted about, as this is more of a normal reaction to being at home with only your mum for company! We quickly tried out a couple of Home Ed groups and began to regularly meet up with home educating families and church friends. This is an area that we are definitely still working on. We also attend a Home Ed Forest School group and a Home Ed multi-sports group, which would have been unthinkable initially. He has benefited so much from having me around to meet his specific needs at each moment in time as much as I can. When he needs regulating, I can spot early warning signs and try to regulate him before it escalates. We have also been able to allow him to regress as much as he needs which would not have been possible in a school setting. He benefits from the extra one-to-one time and opportunities to build attachment. Our son has gone from living in a state of near permanent fear to being able to manage new things and situations in a way which was unimaginable last summer. It’s amazing what home education can do! There is never enough time to get everything done! Particularly if my son is struggling emotionally and needs extra support, getting other jobs done can provide a real challenge. Home education has tested my patience. When our son is dysregulated, I may as well give up on trying to get him to learn anything. It is hard not to get impatient and start issuing consequences if things aren’t done (which only leads to sabotage and a tendency to destroy work that has been started – it certainly doesn’t help!). I don’t have so much time for my own social life. Visiting friends, going out, or even receiving a phone call can be difficult. However, I get up early in the morning and normally have around 45 minutes to myself before our children get up. Also, home education has reduced our son’s anxiety, which means easier bedtimes so that we’ve got our evenings back again. 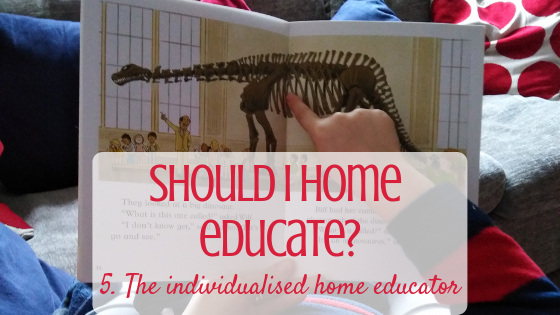 Home education has had a massive impact on our family life. My time can now be much more evenly split between the children whereas, prior to home educating, my middle son’s distress and meltdowns would take up a large amount of my time. We have also gone through extended periods of time where he struggled to leave the house, but the sense of security that he is gaining through home education means that we are able to get out and about as a family more. Our son is due to begin therapy shortly so we will see how much impact that has. When he is able to cope with school and genuinely ready to return, we plan to reintroduce him to school. We can’t make long term plans, but do anticipate him being at home for at least the next 18 months, as – despite excellent progress since being home educated – he still has a long way to go before he will cope with a six hour school day, independent of me. To anyone considering home education, I would say that if you think that it is the right option for your child, don’t hesitate to do it. Ignore people who are convinced that it is the wrong decision, even some professionals. Only you really know your child. Do you have questions or encouragements for Becky? Leave them in the comments!